MALKANGIRI: Tourists from Belgium and other countries were in for a treat on the closing day of the Malyabanta Mahostav-2010 yesterday as cultural troupes from different parts of the State wowed them with their performances. A large crowd, which swelled as the evening wore on despite bad weather, watched a series of cultural events till the wee hours of today. Promising more celebrations in the years ahead, the festival came to an end with much pomp and gaiety. 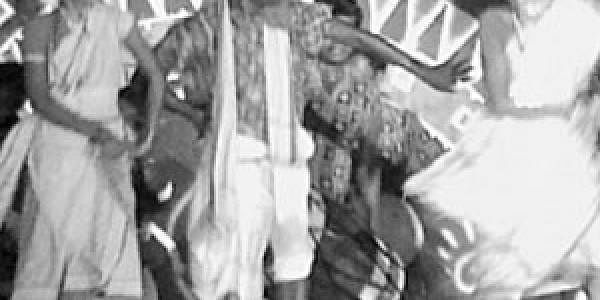 The performance of ‘Kureiful dance’ by a troupe from Ampani in Kalahandi district left the audience spellbound. Adding to the performances was the anchoring by television actress Madhumita Mohanty and Purnendu Pattnaik along with District Water and Sanitation Mission member-secretary Tapan Kumar Raut. Chitrakonda MLA Mamata Madhi, referring to the cultural potential of the&nbsp; district, said ‘‘The district administration should involve primitive tribes from grass-root levels in the years to come to give them a better platform. &nbsp;District Collector and District Council of Culture Chairman R. Vineel Krishna said the festival had been successful in bringing together the tribal folks to a common platform. Weight-lifter Purna Chandra Bidika of Rayagada district was felicitated with ‘Malyabantashri’ on the occasion.